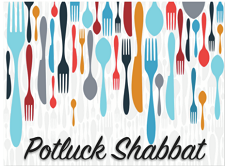 Friday, January 26: 7:00PM Welcome the start of Shabbat with family, friends, and food. Bring a vegetarian/dairy dish or dessert or simply yourselves, and take a little time to relax at the shul after a busy week. We call in the Shabbat this way once a month. As always, you do not need to be a member to attend. All are invited, and all are welcome.